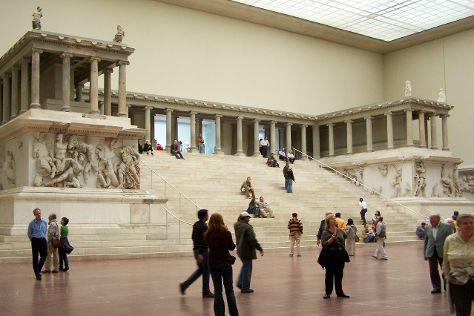 Museum-lovers will get to explore Pergamonmuseum and art4berlin GALLERY. Give yourself a bit of retail therapy at Sammlung Hoffman and Group Global 3000. Explore Berlin's surroundings by going to Memorial and Museum Sachsenhausen (in Oranienburg), Dominikaner Kloster (in Prenzlau) and Sanssouci Palace (in Potsdam). There's lots more to do: contemplate the long history of East Side Gallery, take a stroll through Kurfurstendamm (Kurfurstendam), take in the exciting artwork at Koenig Galerie, and shop like a local with Staatliche Museen zu Berlin - Preussicher Kulturbesitz. To see where to stay, other places to visit, more things to do, and tourist information, go to the Berlin trip planner . Finish your sightseeing early on the 9th (Fri) to allow enough time to travel back home.